Here is an uncommon vintage 33.5mm. 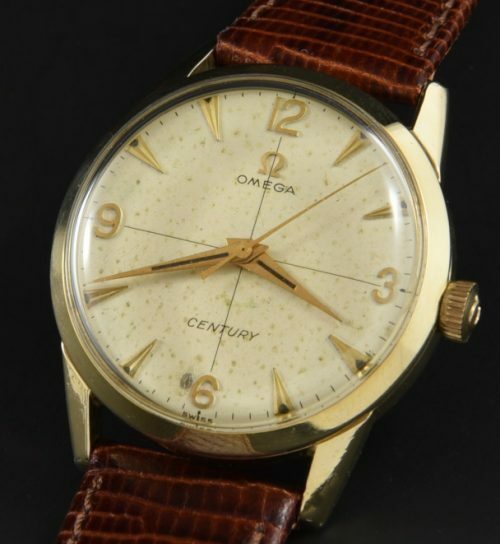 1955 OMEGA CENTURY, being all original including the signed contract case, raised gold coloured dagger markers, original quadrant dial with raised gold “Explorer style” 12,3,6,9 Arabic numerals. The original gold filled snap-back case looks great, having no wear through on the gold fill. 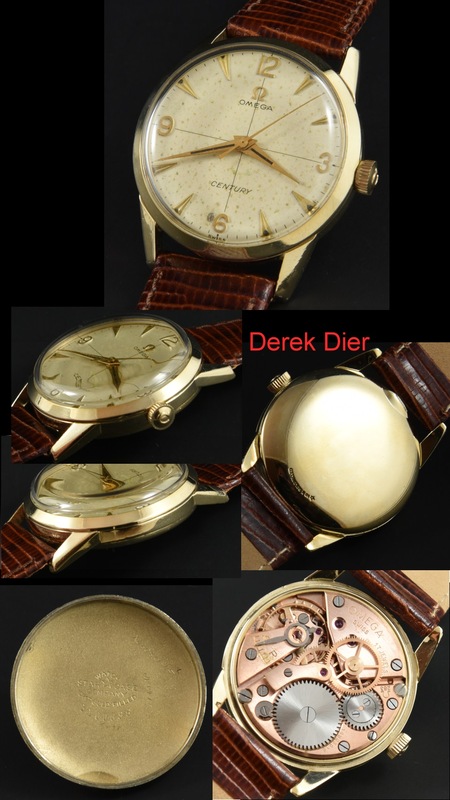 Note the correct STAR contract case supplied to OMEGA and always used for the “CENTURY”. The manual winding very fine caliber 283 gilt OMEGA movement has been cleaned and is accurate. The OMEGA CENTURY is uncommon as it was produced mainly for the Canadian market. Just $895.